AIBA Women’s World Boxing Championships 5/14/12! Well in early results from today’s bouts it seems the USA has three winners so far! As the PM results come through, however, it seems that Claressa Shields has suffered a defeat at the hands of Great Britain’s Savannah Marshall by the score of 8:14. The low scoring bout saw a 2:2 draw in the first round followed by a steady increase in points by Marshall. This is a heartbreaker for Claressa who was an early favorite to go all the way. The USA’s own Queen Underwood continues to advance with a huge win against New Zealand’s Alexis Pritchard by the score of 28:9. Queen dominated throughout the fight with an amazing third round that saw her to receive the score of 10:2. Queen will go on to fight in the Elite 8 next where she will face Norway’s Ingrid Egner. Franchon Crews (81kg) the USA Boxing Champion also routed her opponent, Sabrina Arlette Jaqueline Delarue of France with a score of 22:8. She advances to the quarterfinals where she will face Kazakhstan’s Dariga Shakimova. And finally, the USA’s Tiara Brown who has been awarded the top seed handily won her bout against India’s Mandakini Chanu Kangabam by the score of 21:16 in the 57kg division. She faces China’s Jian Qin in the quarterfinal. 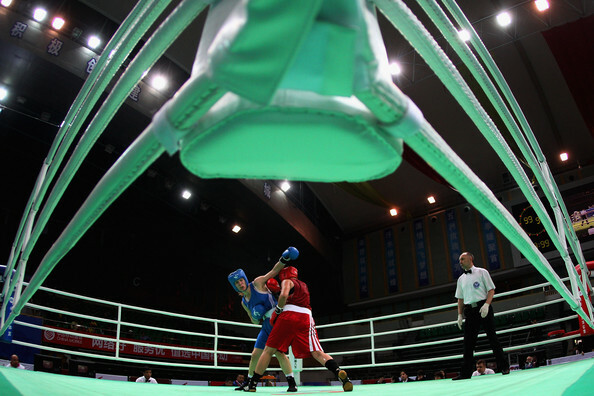 Bouts in the Olympic Flyweight, and non-Olympic Bantamweight, Light Flyweight, Light Welterweight and Welterweight divisions dominate today’s AIBA Women’s World Boxing Championships in Quinhuangdao, China. The afternoon and evening sessions include bouts in the Featherweight, Lightweight, Light Heavyweight and Middleweight divisions. « AIBA Women’s World Boxing Championships 5/13/12!